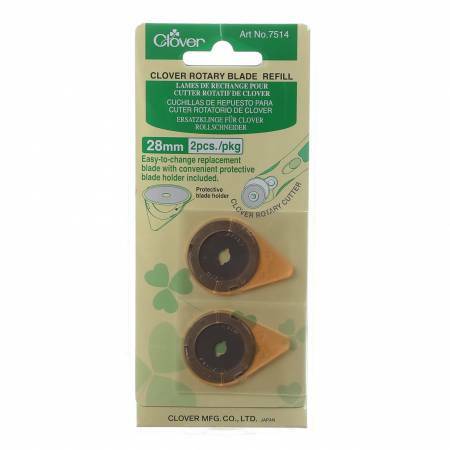 Clover Rotary Cutter Blade Refills make changing the blades safe, quick and easy. Blade comes in a protective cover for safe handling. Make sure to have plenty on hand and keep out of reach of children. Blades are extremely sharp. 28 mm. 2 pc.